The newly rediscovered footage is from a local music talent show at La Luna. Ask anyone who knew Elliott Smith—in his Portland days, at least—and they'll tell you he was hardly the master of sorrow he was known to be on record. (Not all the time, anyway.) He was, in a lot of respects, a total goofball. Case in point: Sometimes, he got together with friends, put on a yellow jumpsuit and an upturned flower-pot on his head, and played Devo covers with his friends. It sounds like an Old Portland myth. But now, footage has surfaced online. In 1994, when Smith was in the transitional period between Heatmiser and his solo career, the X-Ray Cafe put on a local music talent show at La Luna. 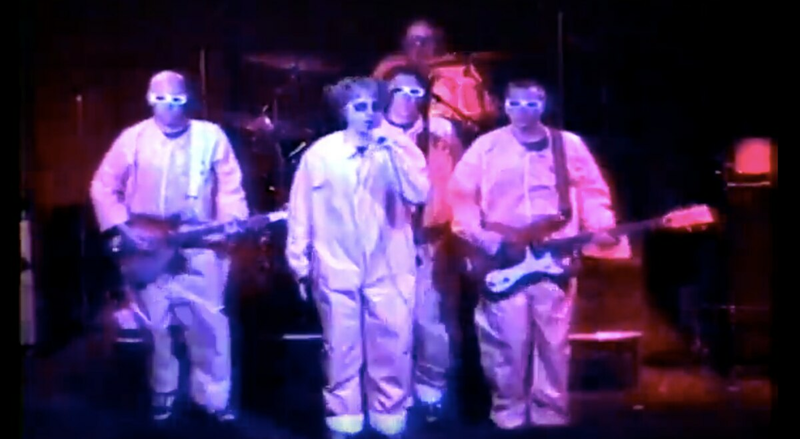 That night, Smith, along with Quasi's Sam Coomes, Crackerbash's Sean Croghan and the Slusarenko brothers, Nate and Chris, debuted their Devo tribute, the Spudboys. 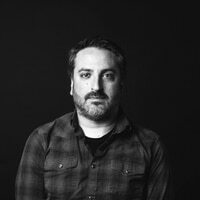 The video was thought lost forever, but it resurfaced today on the YouTube channel of Eyelids, Chris Slusarenko's current band, thanks to Kevin Moyer, the music supervisor for the recent Elliott Smith documentary Heaven Adores You. And it's pretty awesome. Mark: Chris Slusarenko (of Eyelids, Guided By Voices). "The Last of the Sad Bastards"
"A Guide to the Unreleased Elliott Smith Songs on the Heaven Adores You Soundtrack"
"Portland's Most Missed All-Ages Venues"
"Best New Band 2015: Eyelids"